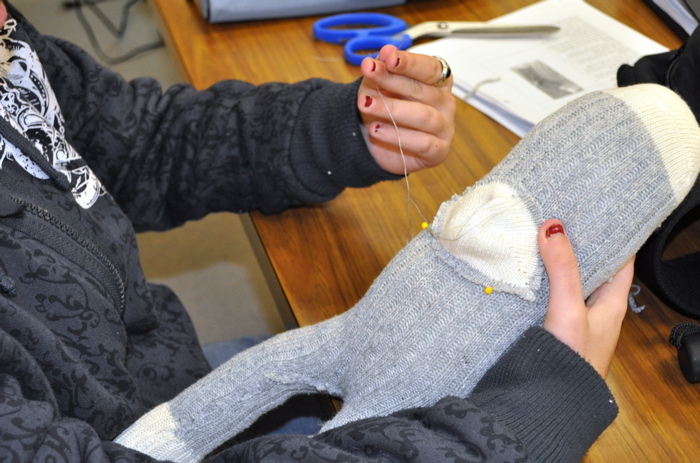 Family Studies students at Vaughn Secondary School are spending this semester crafting up sock monkeys to donate to the OSM Sponsor a Sock Monkey program. The students will hand stitch a sock monkey while learning about living conditions of their peers in communities in distress locally and globally. Some of the sock monkey delegates donated by VSS earlier this year are participating in Project Exeko’s Trickster Effect residency in Waswanipi, Quebec. Learn more about the Trickster effect here. Thanks to Sarah McMullen and the Family Studies program at VSS for their continued support of OSM and for all of the sock monkeys donated in 2010.